Kedarnath was shot along a 14-km pilgrimage from Gauri Kund to Kedarnath. The mountain tsunami that wrecked the temple town in June 2013 sets the backdrop for this love story. The film releases on December 7. Sara Ali Khan and Sushant Singh Rajput starrer Kedarnath releases on December 7. Before the teaser release of Sara Ali Khan’s debut film Kedarnath, producer of the film Pragya Kapoor on Monday said the film is not a usual love story. “Set against the backdrop of nature’s fury, Kedarnath is not an everyday love story. Shooting on virgin and undeveloped terrain was as thrilling as it was draining. This has made the journey to completion a well-earned reward. “All thanks to the invaluable contributions of the entire cast and crew. We are all charged up about bringing Kedarnath to our audiences,” Pragya said in a statement. 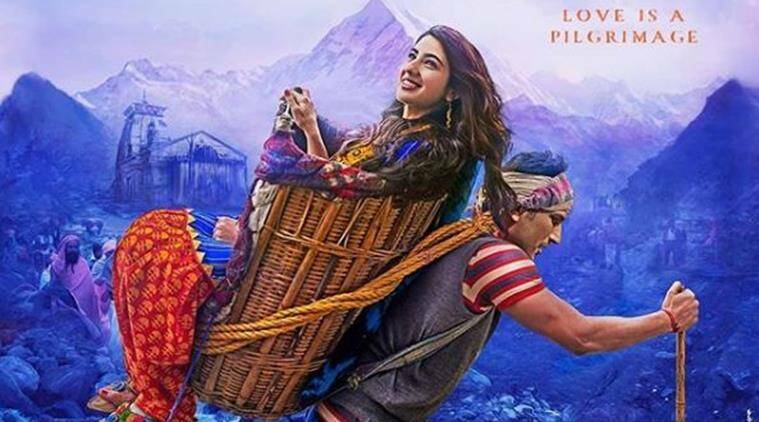 Directed by Abhishek Kapoor, and produced by RSVP and Guy In The Sky Pictures, Kedarnath carries a tagline “Love is a Pilgrimage”. The film is slated to release on December 7.